If you are looking for great Girl Birthday Party ideas for 5 to 6 year olds, it can be difficult. So how about a Cake Decorating birthday party. Here are my birthday party planning tips for hosting a fabulous girl birthday party for a daughter or granddaughter and her friends. 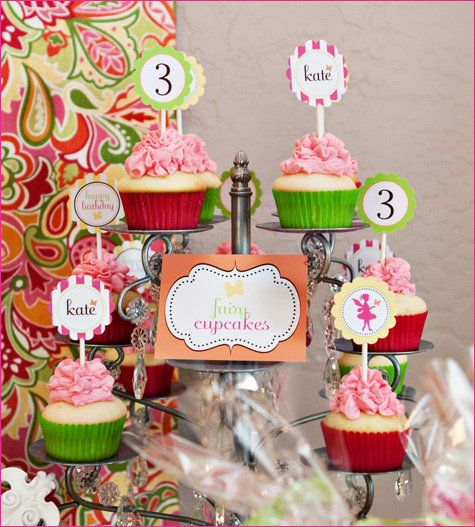 As I have previously stated, the idea with giving a girl birthday party a theme is that one should apply that theme to each step of the girl birthday party process. With that in mind, how about about creating brilliant birthday cake invitations. Decorate the invite with appropriates images and drawings. Maybe chef hats and mixing bowls. As for the venue, try to find some suitable “cake celebration” tableware. If you can pick up some cheap little aprons from a dollar shop or supermarket, you can have them all laid out ready for the guests. If they are plain white, how about writing the guests names on each apron. You can find suitable pens for writing on cloth at an art and craft shop. Another idea might be to ask all the guests to send a photo of themselves. Then with special printing transfers, you can normally get from your office supplies shop, you could have a printed image on the apron. Don’t forget the little chef hats! Again, write the name of the guest on each hat. Before the party commences, bake mini chocolate and vanilla bundt cakes. You can get the birthday girl involved in this before her birthday, and it will help with building the excitement, and she will feel more ownership in the party itself. When the cakes are ready, and before the party starts place all the cakes on decorative plates with paper doilies. Now, set out individual bowls on the table containing colored icings, sprinkles and small candies like M&Ms, gum drops or other cake decorating things. This is so the guests can just pick what they like to decorate the little cakes with. 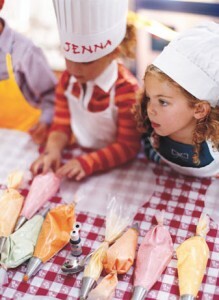 When the party guests start arriving, let them each have chef hats and their own personalized aprons. Get the party guests around the table so they can begin to decorate an individual bundt cake to bring home in their own personalized cake box. Start by demonstrating simple decorating ideas, to give them all some ideas to start. For food you can offer drinks and finger snacks. When they are all done cake decorating, how about some party games such as hot potato, blindfold the cook, and the egg and spoon race game. When the party is over, all the guests can return home with their own decorated cake and a goody bag with cooking party favors such as “dough,” mini rolling pins, measuring spoons and cookie cutters. This is a great girl birthday party theme for little girls and one of my favourite party ideas for girls who love baking and art and craft type things.